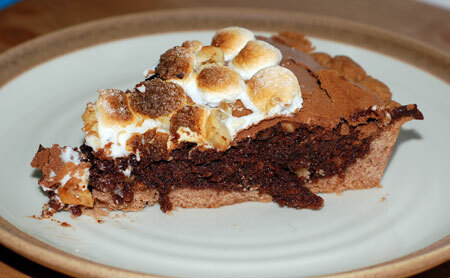 An ooey-gooey marshmallow-topped brownie tart to cheer on the Colorado Rockies in the World Series. 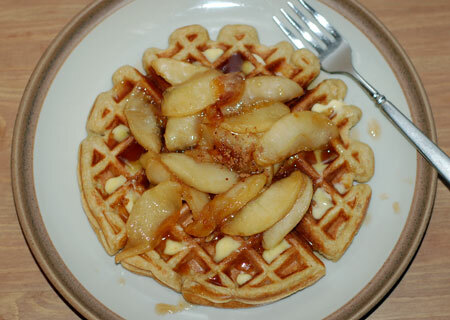 Fluffy buttermilk waffles topped with maple cinnamon apples make a decadent birthday breakfast. 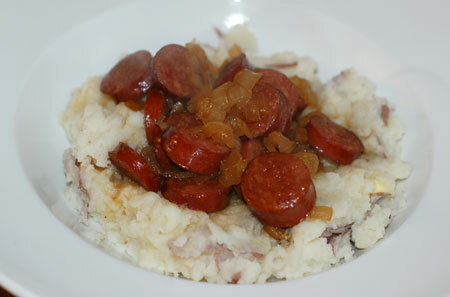 A simple recipe that gives kielbasa a sweet-savory twist. 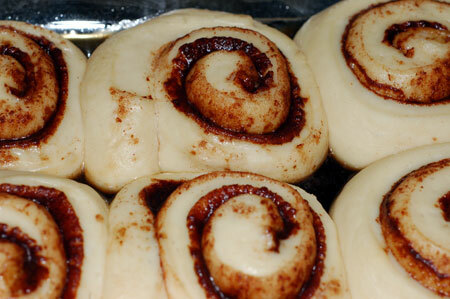 A second batch of cinnamon rolls using the recipe from the September 2007 Daring Bakers challenge. 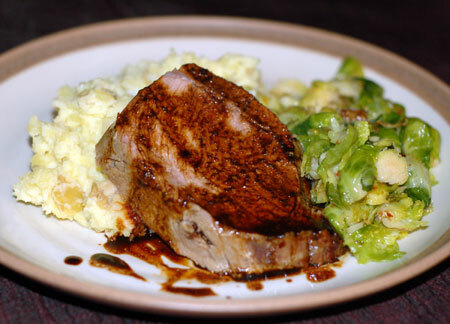 Recipes cooked in the wake of a car accident: halibut with a walnut crust, penne with arugula pesto, and roast beef with skillet-roasted Brussels sprouts.